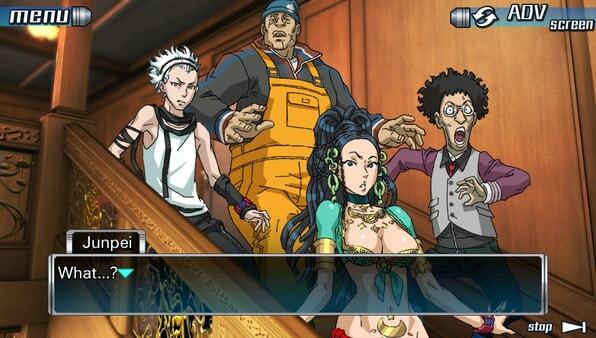 Zero Escape: The Nonary Games Review | Nerd Much? *We received a copy of The Nonary Games for review. Life is not always easy, especially when forced to play a game of life or death. Waking up in a mysterious cruise ship, you find yourself trapped between the steel walls. Before you can even determine your situation, the window pops open and you are drowning in a sea of water. Walking side to side, you gather cryptic messages, screwdrivers, and briefcases. There is only one option: to seek a way out! 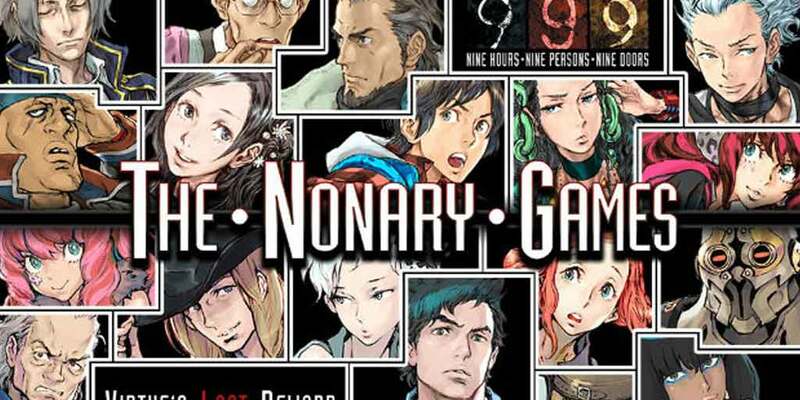 Playing as the young adult Junpei, players must explore their surroundings and solve puzzles in order to escape the game they have all been forced to play: The Nonary Game. Many may recognize the iconic opening from the masterpiece 999: 9 Hours, 9 Persons, 9 Doors which was originally released on the Nintendo 3DS. This game is exactly that, a port of 999 and it’s sequel Virtue’s Last Reward. The Nonary Games for PS4 is something that many developers have started to do: re-releasing titles on the PS4 platform. For many reasons, this is a smart move for both developers, fans, and potential fans. Since many have moved from the last generation of gaming and the majority own a PS4, re-releasing a game that is part of a niche reaches more people, fixes technical problems from the past, and offers something new for previous fans. I remember back in high school when I first picked up 999. Not knowing what to expect, I was immersed in a Saw-like world where every little decision I made counted and simply giving a character an object made a difference in what ending I received. Characters I loved found themselves trapped, killed, or even worse. This game wasn’t an easy title, filled with many difficult and unforgiving puzzles that challenged my brain. It was an emotional (and mental challenge) to get to the true ending and seeing what happened to all of the players in the Nonary Game. The same applies to Virtue’s Last Reward (VLR), the sequel to the first game in the series. This one was easier to navigate through the endings, featuring an entirely new cast, tougher gameplay, and an amazing story to unfold. Despite being near perfect on the 3DS and Vita, one thing I always wanted in the handheld version was voice acting. Even though reading the intense scenes were like picking up a mystery novel, I felt like it needed just a little more. With one of the changes being the addition of a cast for 999, I was very excited to play the games again. Adding the voiceover was one of the best things about this release, as it put even more life into the scenes and escape room gameplay. It felt like I was playing the latest release Zero Time Dilemma, which was fully voice acted and had this certain level of intensity that made it like a cinematic drama. Although not every voice is 100% fitting, characters like Lotus (voice by Valerie Arem) and the protagonist did a superior job in conveying the personalities of their roles. For those who are not a fan of English voice acting, there is also an option to switch to the Japanese voices. Another change to this release was the remastered graphics for the PS4. 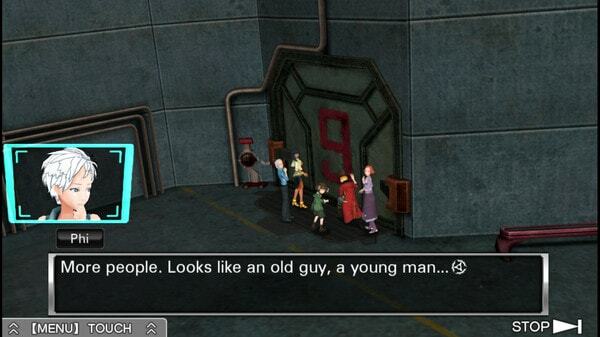 Considering that 999 and VLR were handheld games initially, the graphic port isn’t bad at all. Environments are basic, and the translation to the big screen isn’t the prettiest. However, it definitely looks better than in the past, especially with the change in text. This is not the game to be playing if you are in it for graphics, as what truly matters is to escape a room before you, or another person dies. However, despite it being the best version of the game, some of the puzzles are harder to navigate with the controller as opposed to the stylus or holding it in the palm of your hand. Sometimes the PS4 controller just doesn’t cut it when you are examining objects or trying to figure out a small detail to escape. Even in the first room, I tried to center the paper so I could read it and found myself trying to rotate it several times. This is a minor issue, though. Other additions include an easier route navigator and a read text option that allows you to see dialogue you missed. It’s much easier to see the route you on this time around in 999, but it doesn’t make too much a difference in VLR, since that version of the game isn’t that drastically different from its release. Besides the voice acting, updated menus, and remastered gameplay, there are not many extras such as additional story lines in this title, and that’s okay. Much like Danganronpa 1+2: Reload that released a little bit ago, The Nonary Games is meant as a port/remaster of older titles and for those who didn’t get a chance to play the originals. 999 features protagonist Junpei as he finds himself in a mysterious life or death game where they must pair up and find their way through the mysterious ship and unfold its secrets and why they were chosen. 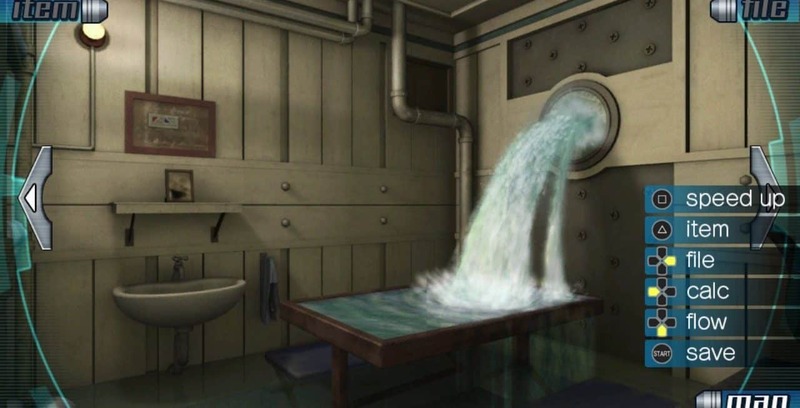 VLR features protagonist Sigma as he plays a new version of the Nonary Game in a locked down facility where people must betray or ally with one another. It is recommended to play 999 first and then head to the sequel. If you are a major fan of the Zero Escape series, this game is definitely recommended for the added voice acting alone, or just to play it all over again. However, if you already beat the games and are not looking forward to suffering through those puzzles again, it might be best to pass, as there is not much new content added. For those who want to try the series out, this is 100% recommended as it includes 2/3 games in the series and is the best versions of each game you can buy. If you are used to the handhelds, there is also a Vita version of this title that needs some love. Since the stories are timeless, 999 and VLR are games you can play again and again to achieve multiple endings and re-live the insane rollercoaster ride of the Nonary Games. 999 and VLR are those rare, niche masterpieces of stories in gaming that will keep you on the edge of your seat until you obtain every ending. This time, however, it’s on the big screen.